Money and ticket counters can provide a new source of efficiency for casinos, which can be beneficial for operators seeking new competitive advantages. Certain states may need new ways to increase traffic and establish a competitive position in the market. Pennsylvania has been able to grow tax revenues ever since the introduction of gambling in the state in 2004, but revenue declined for the first time in 2013, according to Fox 43 Central Pennsylvania. This is reflective of the casino trend throughout the U.S. Some people believe opening new casinos in Pennsylvania will revitalize the market, but others think it is already oversaturated. The state has 12 casinos, making it the second-largest casino market in the country. Other areas on the East have struggled to maintain traffic in facilities when there are several different choices in one region. New Jersey has experienced similar issues with a high saturation of casinos in a single area. The state is considering several other options to turn revenues around, including offering online gambling, Pittsburgh Post-Gazette reported. While this move is predicted to help close the budget gap in Pennsylvania, it may not be beneficial to casino operators looking to increase traffic in their physical facilities. The Gaming Control Board is exploring other options, such as dedicated smoking facilities, Fox 43 stated. 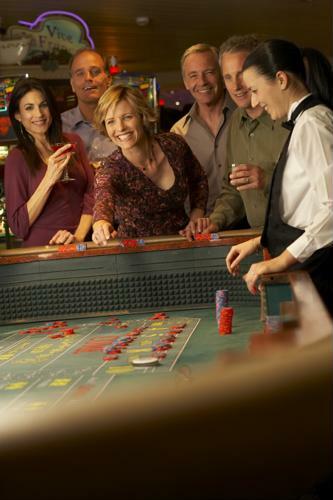 Casino operators need tools to increase efficiency so they can focus on crucial challenges. Money and ticket counters can streamline back office tasks so casinos can reach new levels of effectiveness by making better use of employees' time. When casinos increase the efficiency of their operations, operators can find new ways to save money and grow revenue.